Our accredited programs for residents and fellows help develop the clinical expertise needed to offer the very best cardiac care. All while working with renowned leaders in a range of cardiovascular specialties. As a leader in cardiac care, Northwell Health realizes that one of the most important investments is medical education. Multiple residency and fellowship opportunities are available, and curriculum offerings encompass the gamut of cardiac care disciplines and medical subspecialties including surgery, cardiology, vascular and thoracic. 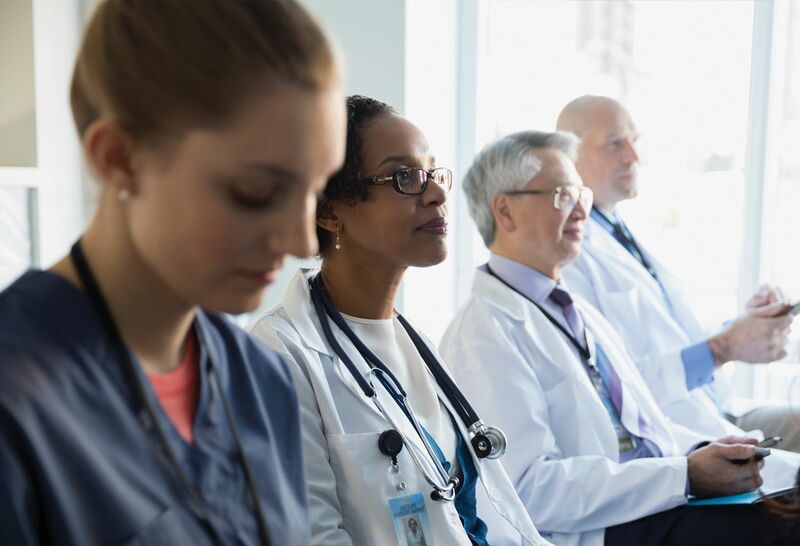 The accredited programs allow residents and fellows the opportunity to develop expertise while working with leaders in research, clinical practice and ongoing care. Patient volume: Because we're an integrated system of more than 23 hospitals and 550 outpatient facilities, fellows and residents see numerous cases addressing a variety of conditions. Multidisciplinary teams: The multidisciplinary clinical staff has a wealth of knowledge, and their skills are diverse in disciplines and subspecialties. This unique setting provides residents and fellows an integrated experience in clinical care. Technology: The clinical teams have access to the latest medical devices and technology. Residents and fellows receive training in the most modern treatments. Research: The Feinstein Institute for Medical Research helps conduct groundbreaking research. Rotations: Residents and fellows are permitted to rotate into different clinical settings to satisfy multidisciplinary goals. Northwell Health offers physicians currently in practice a variety of opportunities to advance their skills. Through our AMA PRA Category 1 Credit continuing medical education courses held throughout the year in a variety of topics, we offer physicians the chance to brush up on skills, learn new techniques, and discuss the evolving role of health care in our society. We also host a number of regularly scheduled series, including bi-monthly thoracic tumor board meetings and monthly grand round lectures. Learn more about our continuing medical education courses offered throughout the year.